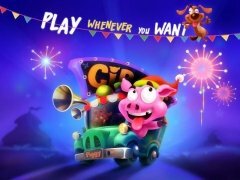 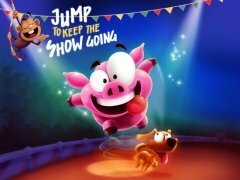 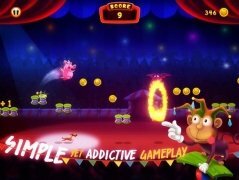 The main character of Piggy Show is a crazy pig with a dream to be made true: become the king of the circus show where he works. 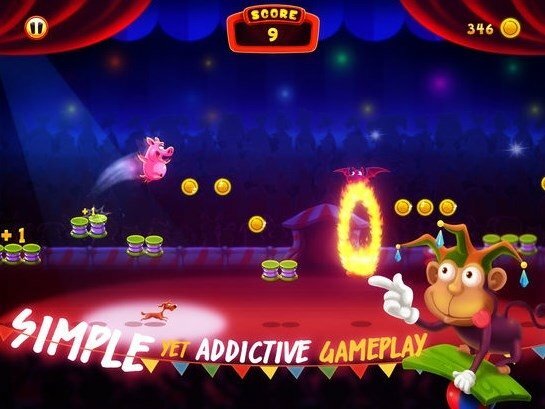 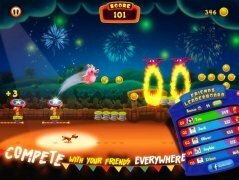 Help this animal from your iPhone or iPad to win over the audience, doing all sorts of flips and somersaults. 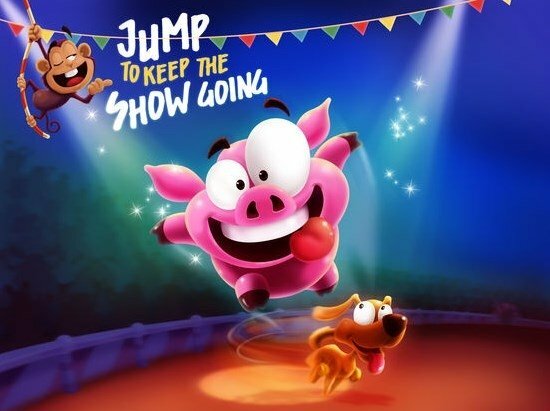 Help the crazy Piggy to put on a great show. It's a very easy-to-handle platform game in which you have to tap on your device's screen to jump over all the obstacles on the stage, such as rings of fire and trampolines, as well as collecting as many coins as possible. 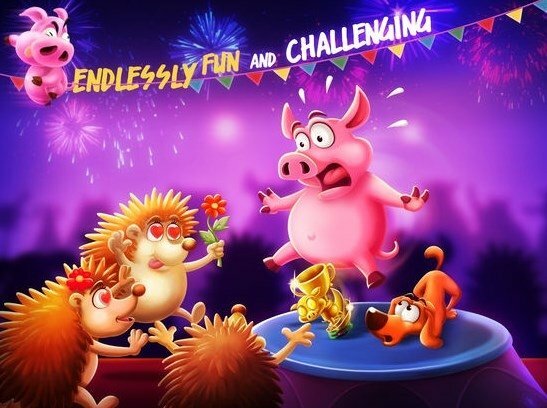 Surprise the audience with a perfect performance to manage to top the global classification.